Feeling under-prepared your first camping trip? You’re in the right place! 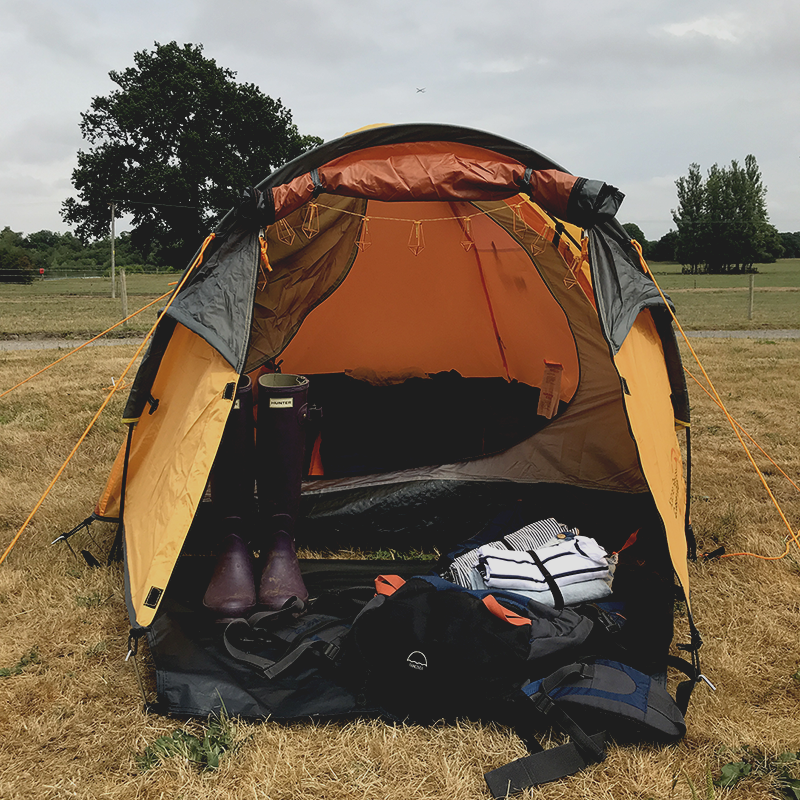 We’ve rounded up our top camping tips for beginners – including choosing a campsite, what to pack, setting your tent and some handy ways to use VELCRO® Brand fasteners to make sure your trip goes smoothly! If you’ve never pitched a tent before, you don’t want the first time to be when you arrive at the campsite. So have a go at pitching it in the garden before you go. That way you can take your time and check there are no missing pieces, which will make setting up much quicker and less stressful on the day! One of our best pieces of camping advice for beginners is take a bigger tent than you need. If you’re taking a two-man tent, remember there will be two people in it plus all of your stuff so it might get a bit cramped. Taking a slightly bigger tent than you need will make for a much more comfortable stay! Placing your sleeping bag on top of a roll mat will make sleeping on the ground much more comfortable. And here’s our top tip: Stick your roll mat to the ground mat of your tent with VELCRO® Brand Stick On for Fabrics to make sure it stays in one place! The handy thing is, the tape will stick down permanently so you can re-use it each time you go camping. Making a packing list is a great idea for anyone who’s feeling under-prepared for their first time camping. Get organised and write down everything you need including camping gear, clothes, food and cooking utensils. We’d recommend starting a list a couple of weeks in advance so you can add to it as things you need to take spring to mind. Or, to save time, you can download our free printable camping packing list. The key to camping for beginners is to choose your campsite carefully! Not all campsites have toilets, showers and washing up facilities so if you’re not ready to ‘rough it’ just yet, choosing the right campsite will make your stay much more comfortable. Plenty of campsites are within easy reach of local pubs where you can grab something to eat. But if you’re planning to do lots of cooking on the campsite, it’s a good idea to plan exactly what you’re going to have for breakfast, lunch and dinner. Remember, you won’t have a fridge on the campsite so anything that needs to be refrigerated should be eaten on the first day. Camping etiquette (i.e. respect for the environment and other campers) is very important so most campsites have a list of rules that they ask all campers to abide by. It’s a good idea to check what your campsite rules are as they’ll let you know what time you must be silent (usually midnight) and how to dispose of rubbish. Camping is all about getting away from it all but chances are you’ll want to use your mobile phone to take photos throughout your trip. We’d recommend taking a portable charger and to make sure your charger cable doesn’t get tangled in your rucksack, wrap it up with a VELCRO® Brand ONE-WRAP® tie. The weather on the British Isles can be changeable to say the least, so make sure you’re prepared for all types of weather. Remember to pack layers and waterproofs for the cold and sun cream in case the sun comes out. Last but not least, make sure you leave the campsite as you found it. That means disposing of all rubbish and leaving your pitch ready for the next lot of campers. And that’s it! We hope this beginner’s guide to camping has helped you feel more prepared for your first trip! Stay on our blog or check out our Instagram profile for more camping tips and clever ways to use VELCRO® Brand fasteners!